Maryland Live! 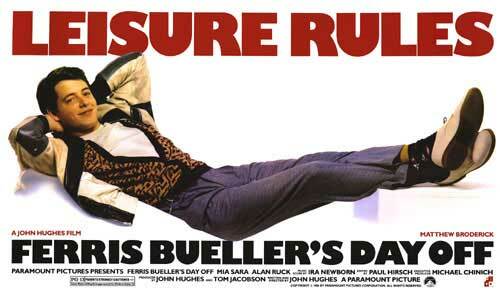 Casino invites guests to take the day off to celebrate the 30th anniversary of “Ferris Bueller’s Day Off”! Whether you are a mischief maker like Ferris, as cool as Sloane or need to let loose like Cameron, a street parade on the casino floor – reminiscent of the film – will give guests the chance to twist and shout. Plus, Maryland Live!’s Ferris, Ferrari and Free Play Giveaway promotion will culminate with one lucky winner getting the ultimate day off accessory- a Replica Ferrari 250GT, just like Cameron’s dad’s from the film! The fun begins Friday, June 10, 2016, from 4:00 p.m. through late evening (parade timing can be determined) at Maryland Live! Casino – 7002 Arundel Mills Cir, Hanover, MD 21076. From June 1 to June 10, all Live! Rewards Card members can earn entries for a chance to win a Replica Ferrari 250GT. Drawings will take place from 6:00PM – 10:00PM on June 10 with five winners announced every hour, totaling 25 winners. Other prizes include a trip to Chicago, trip to the Macy’s Day parade, a customized day off, and free play.